or your G.P. or Physiotherapist may refer you for orthotics. These are specialist insoles worn in the shoe designed to correct poor foot function. 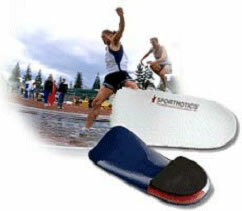 Orthotics used dependent on the person using them. Custom insoles are made from a cast taken of the feet and then manufactured.